A week ago I installed Fastway footpegs on my R1200GS. Those are much lower and much wider than the stock ones. The problem with this now was that the original shift lever was too close to the pegs, so I always had to squeeze my foot in there to shift up. Not quite optimal. 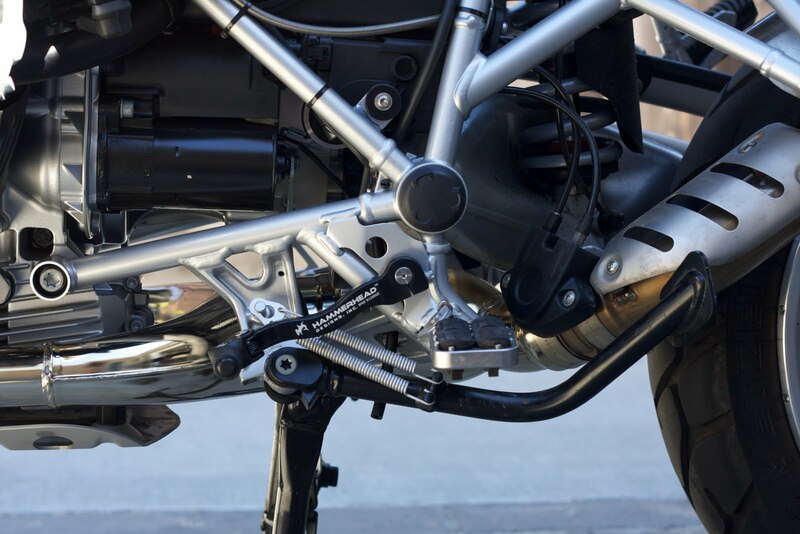 A solution would have been to use the shift lever from the GS Adventure which is longer and has the option of adjusting the tip. But as this is, as it is an original BMW part, quite expensive and I really didn't want to spend too much on a shift lever. Therefore I got a Hammerhead lever with a 15mm offset tip. This is now definitely far enough away from the peg, I'm even contemplating whether it is a little bit too far. I installed it today and it feels really good, but as said, I have to get used to it as it feels a bit too far from the peg at the moment. 10 or even 5mm might have good enough. I'll see whether I get used to it and if not, the good thing about the Hammerhead is that I can replace just the tip with one with a different offset. But I give it some more days as I might just get used to it and it's the difference to the old one that throws me off a bit. Unfortunately it's bit blurry as the camera focussed on something higher up, but it's dark now, so I don't want to take more photos right now. Btw: I got an all black version with a rubberized tip. Hi, how are you going with the Hammerhead ? I also have a 2010 R1200GS, just fitted the Fastway pegs in the lower position and the stock gear shift lever is either just too high or just too low rubbing against the sidestand springs. From what I've seen on your blog it looks like you've had similar issues. Did the Hammerhead help ? Does it still rub against the springs ? btw, this is a great blog ! 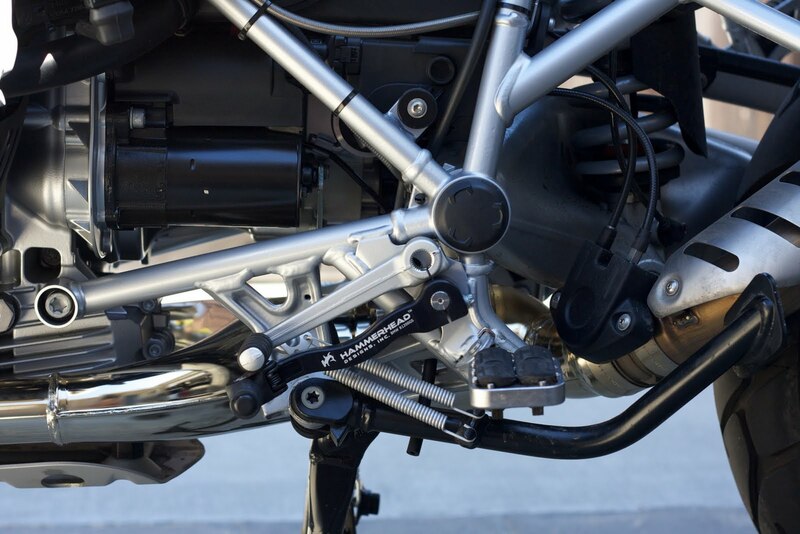 There is some adjustment you can do from the shift lever linkage. I haven't done that as I didn't need to, but if you search Google for "R1200GS shift lever linkage", you'll find some hints.